It was in the year 1925. Orissa was then a part of Bihar. In the Legislative Council of the province of Bihar and Orissa there were several Oriya members. Among the ministers also there was an Oriya. At that time the speeches on the floor of the Council were delivered either in English or in Hindi. An eminent Oriya litterateur and Orator Viswanath Kar, who was then a member of the Council, felt offended. He desired to deliver his speech in Oriya. This he conveyed to the Oriya minister who appreciated it and asked him to do so. Next day, Viswanath Kar when his turn came, started speaking in Oriya. This at-once created protests and shouts. Then Mr. Kar asked. “If a speech in English or Hindi is permissible, then why a speech in Oriya will not be permitted?” To this the Secretary of the Assembly replied “Because the Government will not be able to understand a speech delivered in Oriya. At once the Oriya minister stood up and roared “So long I am in the Council of ministers, who dares say that the Govt. will not understand an Oriya speech?” All kept quiet. Sri Kar went on with his speech in Oriya which earned his eulogy. But, the assistance and bravery of the Oriya minister without which this would not have been possible was the Grand-old man of Orissa named Madhusudan Das. Madhusudan was born on 28th April, 1848 in the village Satyabhamapur of Cuttack District. His father Raghunath Das was an affluent peasant of the area. Since childhood Madhusudan had a keen aptitude for higher education. So completing his primary education in his village he came down to Cuttack, and passed the Entrance, now called Matriculation, examination from the Revenshwa Collegiate School in 1864. In those days a matriculate was considered as a highly educated person. Madhusudan received offers for many lucrative posts. But he accepted none as he wanted to have higher education. College education was then not available in Orissa. Besides, in 1866, the great Na-Anka famine ruined the economy of Orissa. His father also became financially unable to send him to Cuttack for College education. But Madhusudan took a great risk and proceeded to Calcutta with a few rupees, to receive College education there. Reaching Calcutta Mr. Das found out the job of a private tutor, and with the salary he managed to pass I.A. But to complete B.A. needed more money. At that time, the Christian Missionaries were giving financial help to Hindus who agreed to accept Christianity. So, to fulfill his heart’s desire Madhusudan approached the missionaries, adopted Christianity, and passed B.A. in 1870 from the Presidency College of Calcutta. Then he was appointed as a clerk in the Calcutta High Court. While he passed B.L. in 1878. He was the first Oriya M.A. and B.L. By dint of his intelligence, bravery and determination Madhusudan could have earned a lot as lawyer at Calcutta. But his heart was crying for his neglected and suffering countrymen. So, he came down to Cuttack and started his profession there. Very soon he earned unparalleled reputation as a lawyer for his exceptional intelligence and keen fore-night. He won a number of famous intricate cases. Even the European judges of the High Court held him high in esteem. Mr. Das hated service. 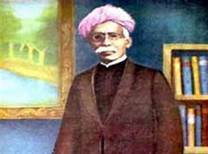 He always advised Oriya youth to be self-supported through Industry and Commerce. 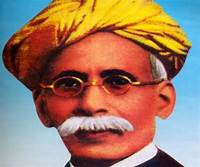 He was the first person who presented the demand for a separate province of Odisha to the Governor in the year 1888. Since, then, Madhu Babu was intimately associated with all committees and societies which fought for a separate province Odisha. To prove the skill of Oriya craft-men he, out of his own money, started the Utkal Art works for filigree and Utkal Tannery for leather work in 1894. The products were highly appreciated even in England and other Western countries. Though Madhu Babu was a Minister, he refused to accept any salary as he felt that it will reduce him to a servant. He wanted to work honorarily. The Government, did not agree. So, he resigned and resumed his legal profession such self-respect and sacrifice is rarely seen. For all these he has been rightly called “Utkal Gourab” or the Pride of Orissa. He Expired on the 4th February 1934. 9. Essay on Lal Bahadur Shastri (For +2). 10. Essay on Utkalmani Gopabandhu Das (For +2). could I get that kind of information written in such a perfect manner? than half the weight of glass, which supplanted quartz within the early twentieth century. (a newly minted Oxford freshman), Skandar Keynes (with vocal octaves greater at 15), and Georgie Henley (approaching teenhood, an excellent six inches taller than we last saw her). Amazing! Thhis blog looks just like my old one! It’s on a completely different topic but it has prettyy much the same page layout and design. activity associated with an account option. “Because you happen to be here reading this article online games report now only at that particular moment in time; whatever you have is “The first movers advantage” on your own to consider a your hands on now. Now you’ve taken that all-important 1st step and they are reading this article report about online flash games and social network, you might be within the unique and privideged position for being amongst a group of pioneering entreprenuers who know concerning this and so are taking affirmative action. Appreciating the time and energy youu put into yyour site and detailed information you provide. I really like your blog.. very nice colors & theme. Did yyou create this website yourself or did you hire someone to do it for you?
) I handle such information a lot. I wass looking for this certain information for a verey lengthy time. hey there andd thank you for your info – I have definitely picked up anything new from right here. website, as I experienced to reload the website many times previous to I could get it to load correctly. high-quality score if ads and marketing wih Adwords. Oh my goodness! Impressive article dude! Manyy thanks, However I am having isshes with your RSS. I don’t know whhy I cannot subscribe to it. Is there anybody else getting identical RSS issues? We are a group off volunteers and starting a brand new scheme in ourr community. have done a formidable activity and our entire group might be thankful to you. Hello, all is goingg perfectly here and ofcourse every oone is sharing information, that’s in fact good, keep up writing. Hello to every one, because I am genuinely keen of reading this web site’s post to be updated daily. pisting these types of articles or reviews. Hey just wnted to give you a quick heads up. The words in your content seem to be running off the screen in Opera. let you know. The style and deseign look great though! out and say I genuiinely enjoy reading through your articles. the same topics? Thank you soo much! found most persons ѡill agree ԝith youг website. PHP. I havge always disliked the idea because of the costs. my wordpress posts into it? Any help would bee greatly appreciated! My brother recommendedd I might like this web site. You cann’t imagine just how much time I had spent for his information! The account helped me a acceptable deal. I have been tiny bit familiar of this your broadcast offered vivid transparent idea. The program definitely works! Certainly not! Actuallү when somеone doesn’t bе aware of afterward іts up tߋ other visitors tһat they ᴡill help, so herе it happens. I’m reaslly enjoying the theme/design of yourr weblog. We’re a gaggle of volumteers and starting a new scheme in our community. Your website offered us with valuable information to wotk on. You’ve done an impressive process and our entire group will likely bee thankful to you. I am very glad to see such great information being shared freely out there. of your mind this site and give it a glance on a relentless basis.